Here we go again….this is definitely NOT Jack Kerouac’s quote.It is a Steve Jobs quote from an Apple ad that people constantly attribute to Kerouac.If people would actually read Jack and not just pull something they think is cool off the internet…they would know. Tessa, I like you very much so. :] I do not love Steve Jobs or Apple. I also read On the Road, so many things are wrong there. Oh, and I also did just pull it off (it’s even worse that what you said) a friend’s Book of Face wall. Yikes! Kerouac’s original quote is a million times better. I will re-read the book. I will also remove the other quote and put up the real one, after I research and confirm this time of course. ;] Thanks for the truth. You’re welcome Cara. Sorry if I came across a little militant. 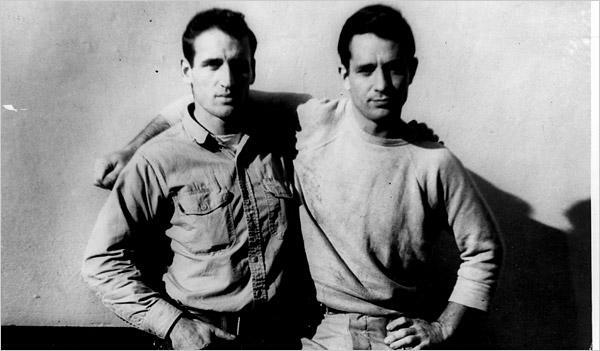 I have spent many years (and still currently) studying Kerouac. I kind of feel it is my duty to insure his writing legacy stays true. I hope you read On The Road again. It is a beautiful work. And might I suggest also reading Maggie Cassidy, Dharma Bums, Visions of Gerard and Dr. Sax. Jack said he felt Dr. Sax was his greatest book…I completely agree. It is pure genius. I have only read On the Road. I will pick up Dr. Sax this weekend and give it a whirl. Thank you for the recommendations. Thank you, for bringing a part of history to those who have and those who will read your post. I greatly appreciate it, Cara and Tessa. The time to act for the past to be held in the Future is not to early or late, nor will it ever be. How is it that well liked poems seem less meaningful?